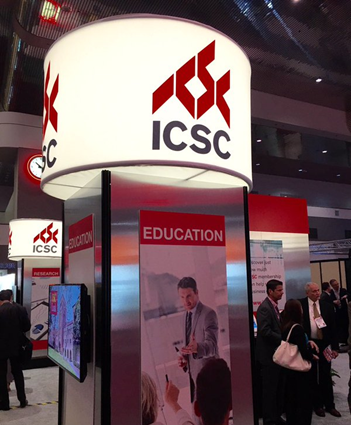 This week, I attended the annual ICSC RECon convention in Las Vegas, which is produced each year by the International Council of Shopping Centers (ICSC). 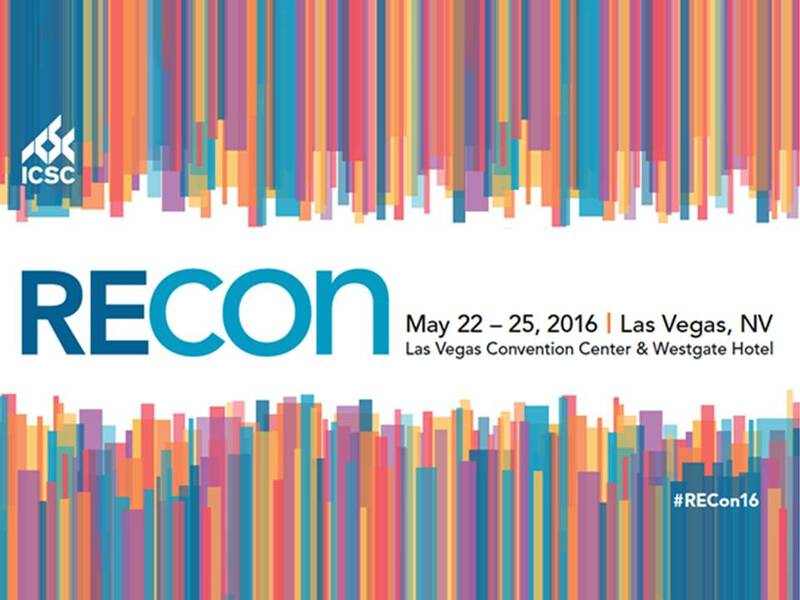 RECon bills itself as the global convention for the shopping center industry, and the three-day event provided networking, deal-making and educational opportunities for retail real estate professionals. A record 36,000 attendees and 1,000 exhibitors were expected at the event. This year’s presentation topics included social media, real estate and finance, with keynote addresses given by leaders in professional sports, retail and beauty. 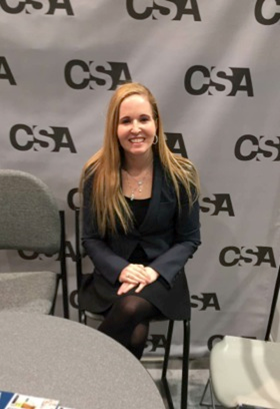 The convention began on Sunday with a full day of seminars, sessions and tutorials on topics such as customer experience, restaurants and specialty leasing. The event’s official kickoff and opening session were hosted by retired NBA star and current entrepreneur and philanthropist Earvin “Magic” Johnson. Monday’s discussion topics included social media, talent development, capital markets and retail leasing. We learned that 25% of all deals originate or are somehow related to RECon, However, retailers appear to be cutting back on the expense of sending employees to the conference as they focus spending on experiential retail initiatives. This is especially the case in apparel, where sales are currently under pressure. Other retail sectors, such as convenience stores, food and drugstores, and movie theaters, appear to be faring much better. As the retail industry continues to focus on developing its online strategy, it is notable that many pure plays that are going physical are not yet profitable. One of the day’s key takeaways was that companies need to put their efforts into becoming all-channel brands, because the consumer wants to be able to shop and access branded material anywhere, at any time. 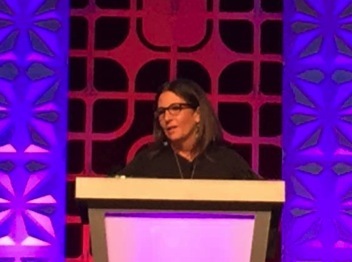 Deborah Weinswig, Managing Director of Fung Global Retail & Technology, was interviewed by Chain Store Age on May 24 at RECon 2016. On Tuesday, we had the opportunity to speak with executives from Chain Store Age and attend the Bobbi Brown luncheon and keynote speech. We also met with a number of industry leaders, including Mike Niemira, Chief Economist for The Retail Economist; Tom McGee, President and CEO of ICSC; and Meredith Darnall, SVP of Strategy and Analytics at General Growth Properties. Many retailers are struggling with their identities as retail continues to be challenged. Ethan Song, CEO and Co-Founder of Frank + Oak, explained that: “We live in a world where industries are crossing over. We’re talking about gray zones. It’s not so clear if you’re a technologist, if you’re a retailer, if you’re a brand or if you’re a service. You almost have to rethink your key competency and what value you bring to the market.” The solution, he said, is innovation. “Innovation needs to come from every single touch point, every single unit of your business,” he noted. These sentiments were echoed throughout the Tuesday’s program, as industry leaders are continuing to seek solutions that will help them keep up with today’s ever-evolving consumer. 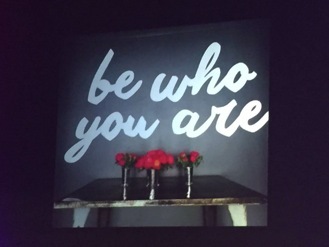 Bobbi Brown’s keynote presentation focused on her company’s culture and the role of fear in business. When she launched her company in 1991, Brown’s mission was to create “simple, flattering and wearable makeup,” i.e., lipstick that looks like lips. This idea quickly garnered the attention of the beauty industry and, in 1995, the Estée Lauder Companies acquired the Bobbi Brown brand. Today, the brand is present in more than 73 countries and 68 freestanding stores. Brown gave an inspiring talk built around three key pieces of advice: “be a sponge,” have no fear and know that success is a team effort. She noted that her brand’s mission also extends to the company’s corporate culture: take care of yourself and give back. Brown said her company is about empowering women to feel confident, and that a big part of this includes the link between healthcare and beauty. She encouraged the audience to not smoke, to eat well and to live positively. RECon was a wonderful, informative experience and we look forward to returning next year.